RESULTS: We mapped 4312 coseismic and postseismic landslides. Their distribution shows positive associations with slope and shaking intensity. The highest areal densities of landslides are developed on the downdropped northern tectonic block, which is likely explained by momentary reduction of the normal stress along planes of weakness during downward acceleration. 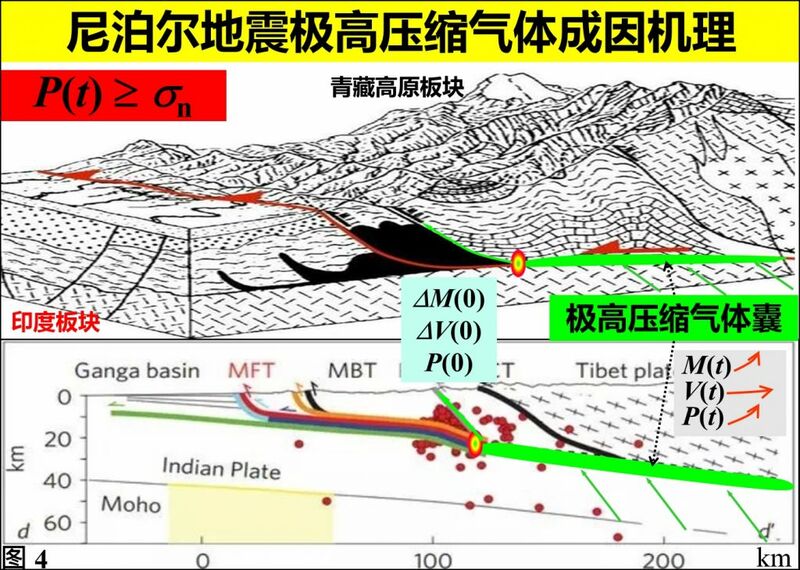 The two largest shocks bracket the high-density landslide distribution, the largest magnitudes of the surface displacement field, and highest peak ground accelerations (PGAs). 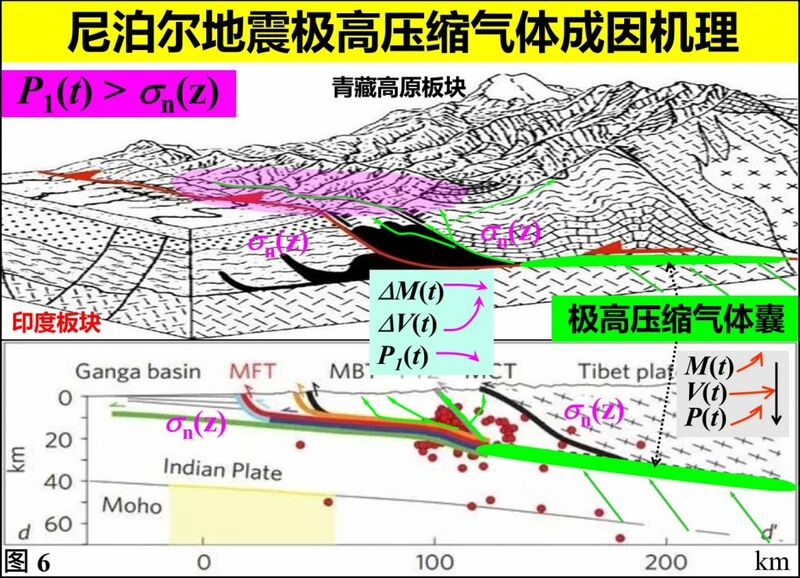 Landslides are heavily concentrated where PGA was >0.6g and slope is >30°. Additional controls on landslide occurrence are indicated by their clustering near earthquake epicenters and within specific lithologic units. The product of PGA and the sine of surface slope (defined as the landslide susceptibility index) is a good indicator of where most landslides occurred. A tail of the statistical distributions of landslides extends to low values of the landslide susceptibility index. 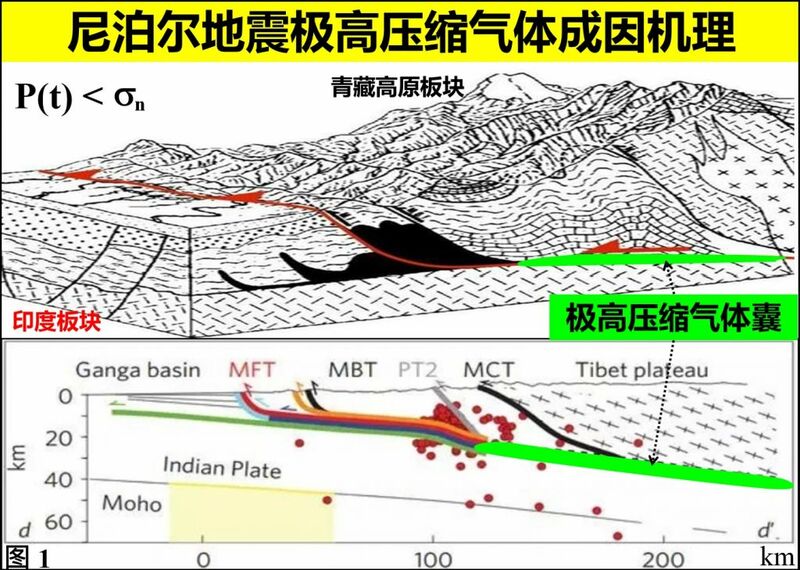 Slight earthquake shaking affected vulnerable materials hanging on steep slopes—such as ice, snow, and glacial debris—and moderate to strong shaking affected poorly consolidated sediments deposited in low-sloping river valleys, which were already poised near a failure threshold. In the remote Langtang Valley, some of the most concentrated destruction and losses of life outside the Kathmandu Valley were directly due to earthquake induced landslides and air blasts. Complex seismic wave interactions and wave focusing may have caused ridgetop shattering and landslides near Langtang but reduced direct shaking damage on valley floors and at glacial lakes. CONCLUSION: The Gorkha earthquake took a tremendous, tragic toll on human lives and culture. However,fortunately no damaging earthquake-caused glacier lake outburst floods were observed by our satellite analysis. The total number of landslides was far fewer than those generated by comparable earthquakes elsewhere, probably because of a lack of surface ruptures, the concentration of deformation along the subsurface thrust fault at 10 to 15 km depth, and the regional dominance of competent high-grade metamorphic and intrusive igneous rock types.